Nero 9 brings the digital world to your PC with features that make it fun and easy to create high quality multimedia projects with professional results. Create, rip, copy, burn, edit, share, and upload online your music, video, photo, and data enjoy and share with family and friends anytime, anywhere. Mix MP3's, edit vacation videos, author photo slideshows, record live TV, burn CD/DVDs, Blu-ray disc with just one click, and stream them in any room in your house. 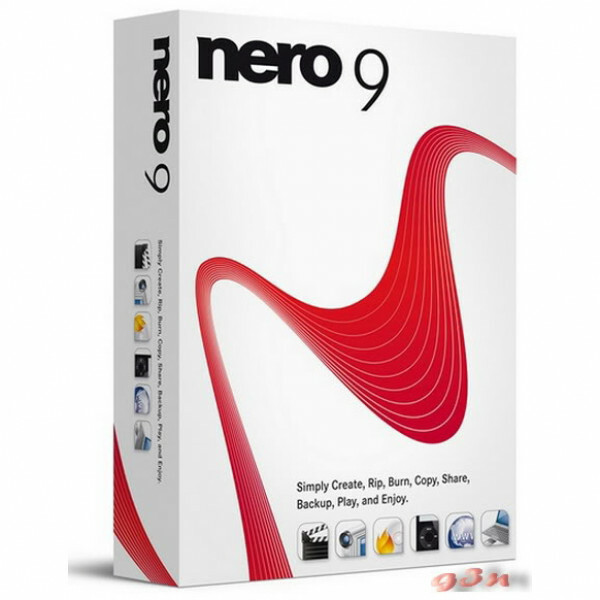 Nero 9 includes a revamped interface, improved high-definition support, an enhanced media player, new video-editing options, improved live TV, and new autobackup and data-protection features. This is an OEM product. Windows XP and Windows Vista 64 bit versions are supported in 32 bit emulation mode. Nero DiscCopy Gadget only works in 32 bit emulation mode in the Sidebar under Windows Vista 64 bit, or in the Desktop Gadget under Windows 7 64 bit. For the Nero Online services: Nero product registration, product updates, patent activation, Gracenote services, Nero Online Backup, and other features (such as photo sharing) an Internet connection is required.